← Sun setting over the side pasture. Slow Foods Ark of Taste: Is real food becoming extinct? For those of us who are actively making a conscious effort to eat food closer to how God originally created it, I think the slow food movement is less of a movement and just more of a way of life. 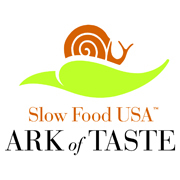 But what is the slow food movement you cheesie pouf eating readers may ask? Well, in a very small nutshell, it’s a movement that was started to help consumers realize just how much genetically modified, engineered and just plain wrong food hits their plates every day. What I really like about the ideas that they espouse is the concept that the best foods shouldn’t be reserved for the rich…that is, those people who can afford to go to Whole Foods and Sprouts every day picking up the best organic produce that the market has to offer. No. Slow food is about making this food available at all income levels in every store so that we all are getting the best of God’s bounty-not just what Monsanto, DuPont and Syngenta want us to have. To that end, enter in their US Ark of Taste. The Ark of Taste is a listing of 200 foods who are in danger of becoming extinct. Many of these are regional specialties, but I think it’s a national imperative that we stop and think about what we are putting on our plates. When is the last time you stopped and thought about the variety of produce you were putting into your cart at your local mega mart? For some of us, probably not too often. But, there are plenty of little changes even the non-homesteader can do in the grocery store. Instead of reaching for that same bag of brown potatoes, try the reds, golds or better yet, the purple potatoes! See those long white radishes next to the round red ones? Try those instead! Armenian cucumbers instead of “regular” cucumbers? Yes please! Another great way to ensure biodiversity and the inherent values behind the Slow Food movement is to frequent roadside stands and/or farmers markets. Yes, some of the produce available at these events is going to be GMO and loaded with chemicals, but in other cases you are going to find small scale farmers who are doing everything in their power to produce heirloom produce without the use of harmful chemicals even if they can’t jump through the hoops from the USDA to become “certified organic.” And speaking of heirloom produce, for those of you who are backyard gardening, farming or homesteading, think about picking up some heirloom, non-GMO seeds to produce in your garden/henhouse/pasture. I don’t know about you, but when I start looking at seeds that produce fruit and veg in abundant, wild colors with incredible taste descriptions, I ask myself why have I been buying the same mealy produce year after year at the mega mart? The answer may not be easy to find, but the solution certainly is…biodiversity. Let’s all embrace it and bring some interest back to our plates! Happy eating! 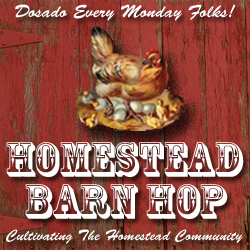 Check out some great new posts every Monday at the Homestead Barn Hop! Posted on March 4, 2013 by BAFarm	• This entry was posted in Gardening, Giving up store bought, Homesteading, Nutrition, Uncategorized and tagged biodiversity, food, gardening, gmo, Homesteading, nutrition, organic, slow food. Bookmark the permalink.